Signature web nylon strap with leather detail. 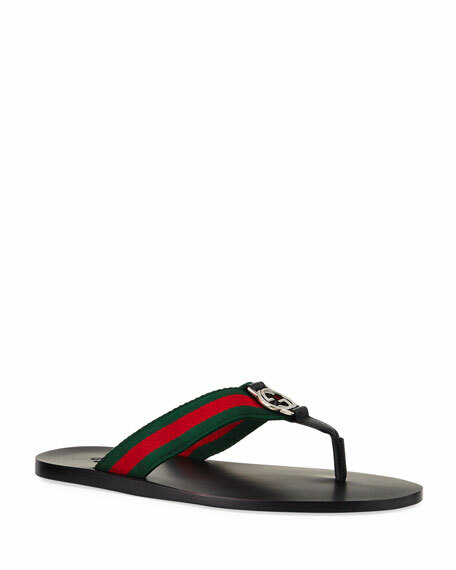 Gucci slide sandal with Gucci invite stamp print. Contrast leather trim. Molded rubber footbed. Pursuit is made in Italy. 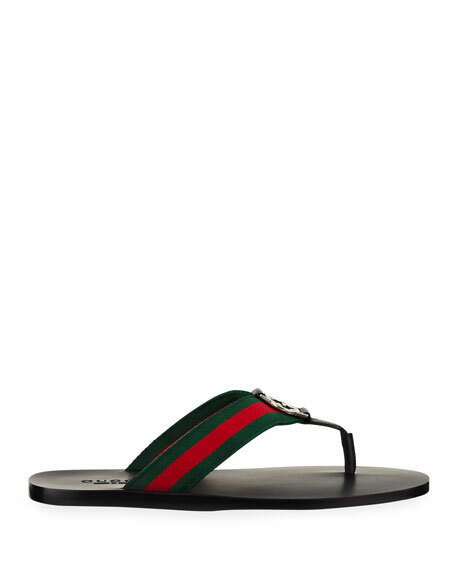 Gucci tricolor rubber pool slide sandal. Embossed Gucci vintage logo. 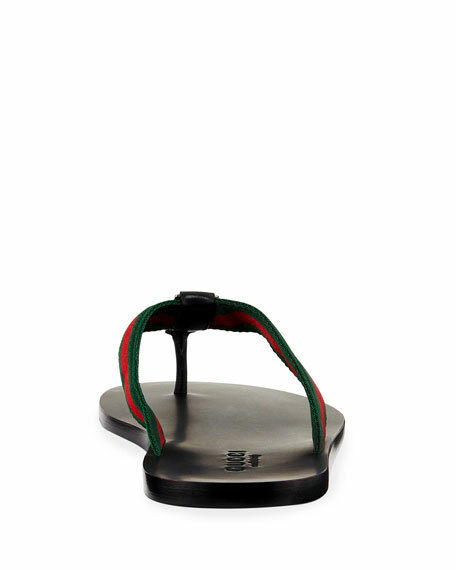 Molded rubber footbed. "Pursuit" is made in Italy. 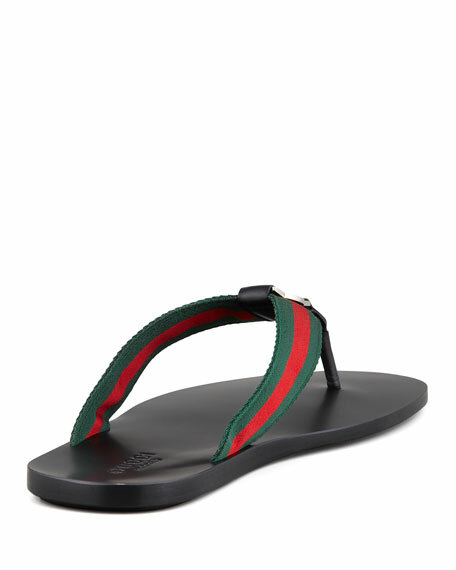 Gucci leather sandal with "GG" stud. Flat heel. Thong strap. Slide style. Leather lining. Made in Italy.